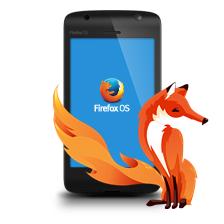 Digger for Firefox 3.0 is a Firefox extension created by Steven Clavering based on the Diggler extension by Adam Lock. This extension can remove the sections in the URL level by level up to the subdomains. For example, you are visiting example.com/abc/menu, it can trim off the URL to example.com/abc. There are options that let you find the specific webpage you are currently visiting in the Google Cache and Internet Archive. After installing the addon, the Digger icon will appear next to the address bar. You can bring up the menu by right clicking on the icon. The list of hierarchical links for the domain will be ready as soon as you are on the webpage. You can immediately access the links when you right click on the Digger icon without having to wait for some time for it to index the links. Another way to access the Digger menu is to use the context menu. You can also right click on the Go button to access the menu. Digger is a handy extension if you find yourself often have to click on the back button to go up a level of the domain. It can save you time in having to click the back button several time to arrive at the specific hierarchy on the site.